Do you ever feel as if you’re quite living up to your full potential? Maybe you want to develop your talents, resolve your problems, or simply hope to help other people in your spare time. All it might take is a few simple changes to start living your life to the full. 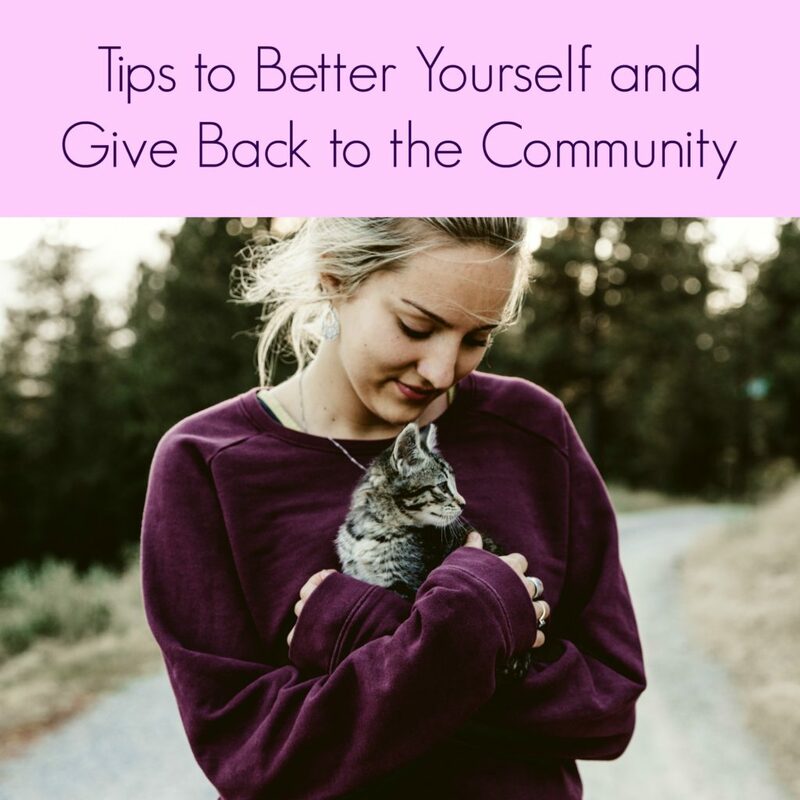 Read the following tips to better yourself and give back to the community. If you want to feel like a happier, more successful person, you might simply need to make a big change in your life. For example, if you are struggling with an alcohol or drug addiction you can take back control of your life by entering a Colorado rehabilitation center. By saying goodbye to your problems and leaving the past behind, you can become a stronger, prouder person, and this confidence can ensure your future success. The more knowledge you have, the more confidence you will develop. You should, therefore, aim to educate yourself every day to become a smarter, more informed person. For example, reading the newspaper every morning will help you to learn more about the community, so you can improve your understanding of a problem, increase awareness, and offer your assistance. Donating to a worthy charitable cause will not only make you feel like a kinder person, but the money or items donated will help to improve the lives of others. It’s easy to make a cash donation or donate your unwanted belongings to a charitable store to truly make a difference. Nothing will open up your eyes quite like volunteering. There are numerous organizations that will gladly welcome volunteers who want to have a positive impact on a community. For example, you could volunteer at a charity store, your local soup kitchen, hand out blankets to homeless people, or you could look for various volunteering opportunities abroad to learn more about a culture and see the world from a different point of view. Sadly, there are many animals around the world looking for a good home. You can help animals by providing them with a loving home so that they will experience much love and affection throughout their life. Consider adopting or fostering a pet today, rather than buying from a breeder, which could change their lives forever. Do something good for society by donating blood. It takes approximately an hour to give blood, and you could help to save the life of someone with your blood type. It’s a small act which can make a big difference, so you’ll walk away knowing you’ve helped to save a person’s life this year. Now, if that doesn’t make you feel like a better person, then nothing will! In addition to giving blood, you should sign up to the organ donor register. You’ll have peace of mind that your healthy organs will provide a person with a second chance at life. You’ll continue to make a difference to the community even after your gone.